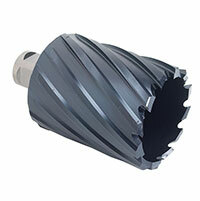 Walter Surface Technologies annular core cutters are guaranteed to outperform all uncoated cutters. Walter annular core cutters are made from specially formulated high speed steel (HSS) and exclusive state-of-the art coating, keeping them cooler and increasing the product lifespan! 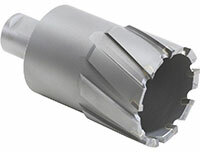 Moreover, our exclusive tooth design will resist breakage and our ICECUT line of annular cutters is designed to outperform where lubricants are not permitted. 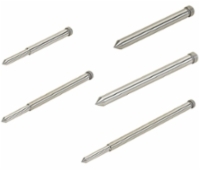 For fast, efficient and consistent core cutting performance, choose Walter! Guaranteed top performance and maximum productivity on hard metals and uneven surfaces! Guaranteed to drill more holes in less time!